Social media has the potential to be a powerful online tool for hotels. If implemented properly, hoteliers can build brand awareness while maintaining customer loyalty. But it’s not something one should jump into blindly. Social media is more than just creating an account and writing a tweet or updating a status. The hotel’s reputation is on the line, so GMs or eCommerce managers need a solid social media plan first. Below are five absolute must-haves for a successful social media plan. Do the Research. Before jumping in social media marketing, it’s important to do a little background research. What channels or platforms are the hotel’s targeted markets currently on? What kinds of social media networks are your competitors involved in? Make a list of other companies that are utilizing social media well, and a list of companies that aren’t. Use them as guides for inspiration, and also learn from their mistakes. Make a Guidebook. Learn how to handle negative comments or criticism. Don’t wait for such scenario to happen to decide how to handle the issue. Plan ahead and make a process guidebook to follow. Create sample scenarios and how-to steps on addressing these. Define Goals. With social media, hotels have the chance to reach users in all stages of the buying cycle, so it’s important to customize the return on investment accordingly. Identify the goals. Is it trying to raise awareness? Win over new customers? Retain existing customers? Defining the hotel’s goals beforehand will allow hoteliers to measure the success of their social media strategy. Assign a Person-in-Charge. Even if there isn’t a dedicated social media manager at the hotel, it’s important to clearly define who will be the go-to-person. If the responsibility is shared amongst hotel staff, create a schedule. This will ensure that everyone is up-to-speed with the research and defined social media goals. *Every employee is representing the hotel, either directly or indirectly. 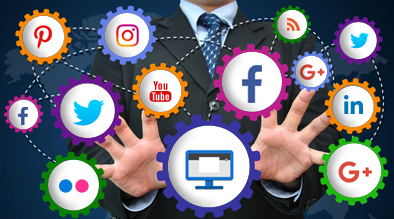 Therefore, it is important to inform all staff members about the hotel’s social media channels even if the employee isn’t an active participant. Be Proactive. Bad customer service can really hinder the hotel’s online reputation. If issues need to be addressed, then these should be addressed right away. Remember the 3 “Ps”… Act Professionally, Promptly, and Politely. Social media marketing can be a very cost-effective and creative platform to build the hotel’s branding and broadcast it to the world. It’s also a long-term marketing effort, which does require a commitment. However, If planned out properly, the hotel’s social media profiles have the power to build brand loyalty, as well as drive new traffic and revenue for the hotel.